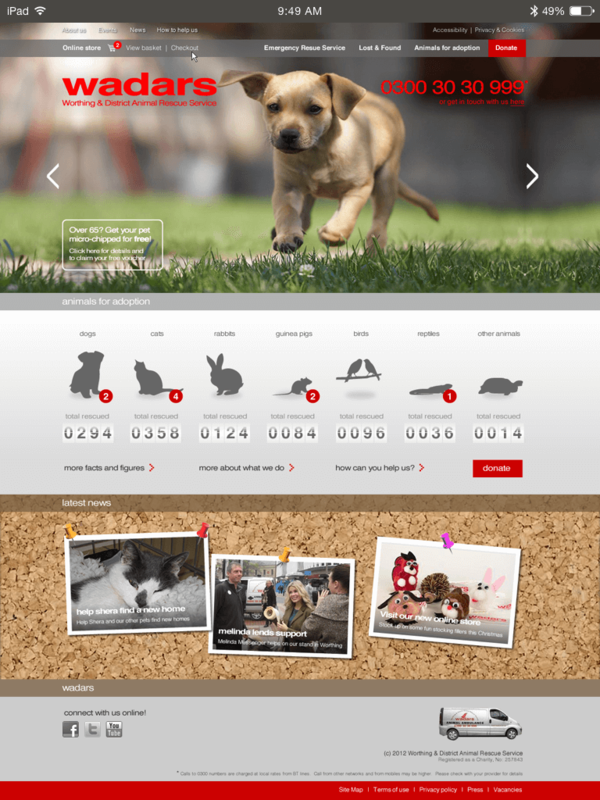 As part of a proposal to the trustees, this design was put together to show how the charity’s website could be brought up to date. 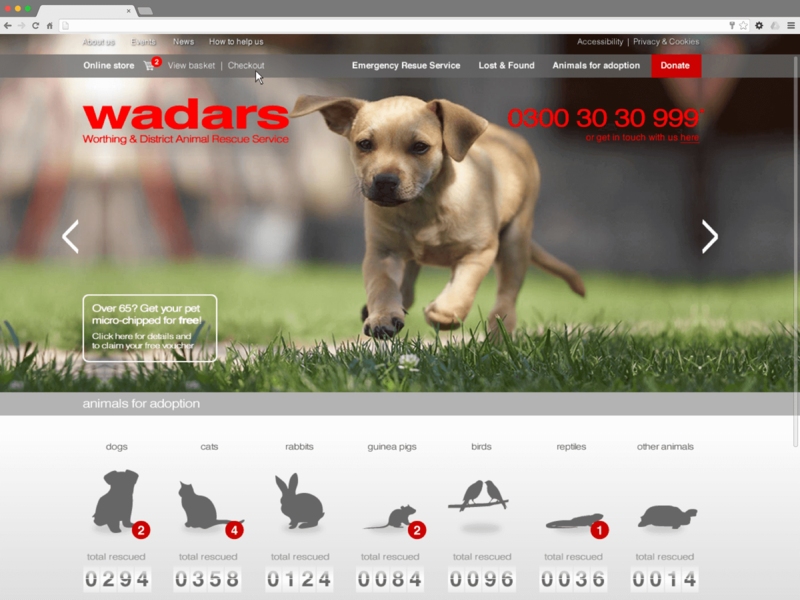 The design aims to show WADARS as a modern organisation and showcases the wide range of animals it rescues and re-homes. The proposal was not taken up at the time, but the charity has since recently updated its website using another agency.